Modern offices should be centres of creativity, high performance and productivity. 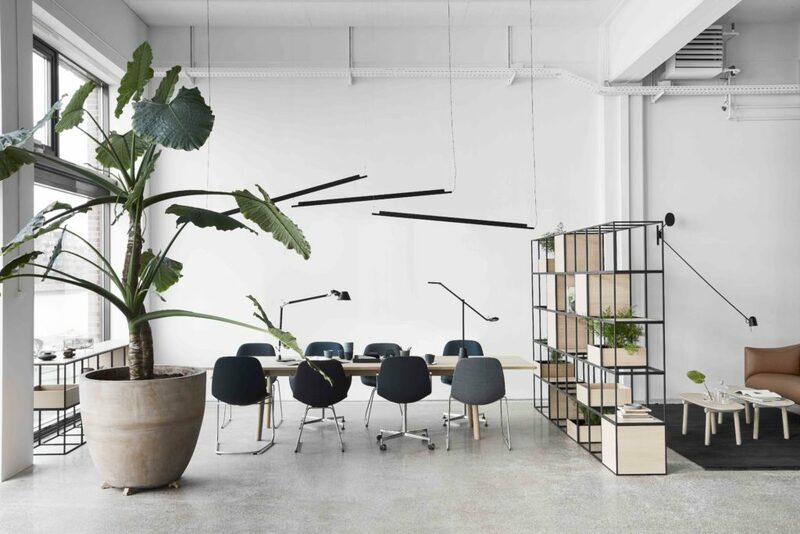 To motivate employees the interior design must support fluid working environments, whether they are open-plan spaces, quieter individual work stations or collaborative and social hubs. GRID is an architectural interior system with an industrial look, designed to conquer these challenges. 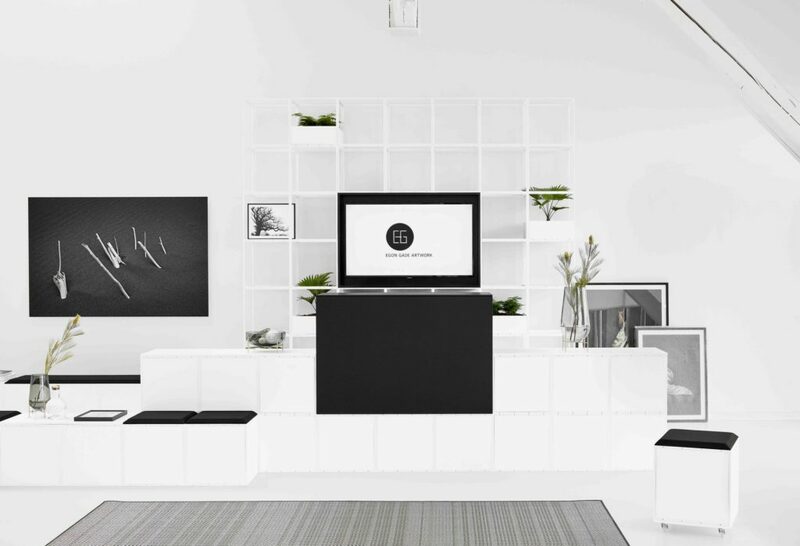 An adaptable interior design system that can be used to create any structure required. Due to its adaptability, GRID makes space work. Entering a reception area, GRID could work well as a counter that gives a sleek first impression. The counter front expressing simple elegance while cupboards and pigeon holes provide storage at the back. In this welcoming area, GRID modules, cross braces and upholstered seats could be combined to create comfortable and sturdy seating for waiting clients. 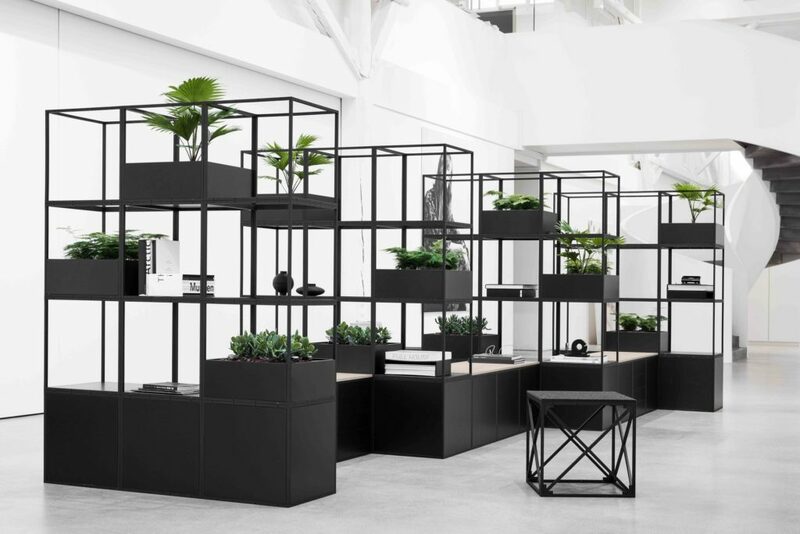 A coffee bar could be formed, using sides and shelves or a display unit brought to life with lush green plants in GRID plant boxes. GRID magazine shelves could be added to display company brochures or reading material for guests. Moving through into the office area, freestanding room dividers or partitions between desks could be fashioned. 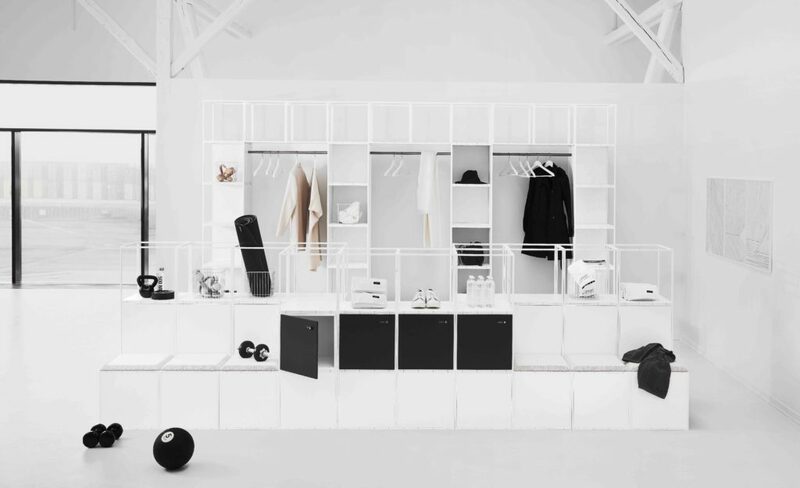 GRID sides could be inserted into the modules as desired to provide a range of solutions – a semi open partition with shelving for display, cupboards and drawers for storage or a combination of both. 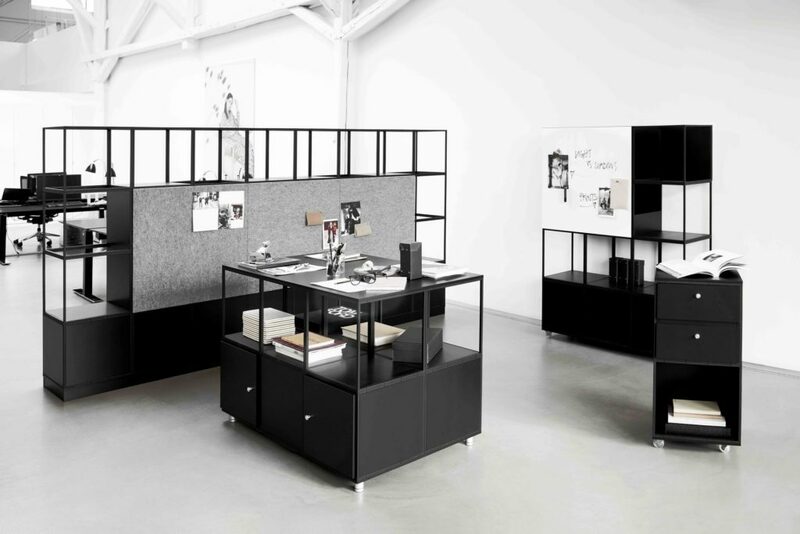 These room dividers provide both discretion between work stations and storage for staff. The designs can vary as desired, by simply taking out or inserting sides to create what is needed – storage, display, openness or privacy. Whiteboards, corkboards or felt boards could be added so that creativity has a place to blossom. Meeting rooms or presentation areas could be designed as room-in-room spaces by constructing freestanding room dividers. The openness of the GRID modules would mean that within these spaces, clients could enjoy a sense of spaciousness while also being discretely divided from the rest of the work environment. The meeting area could double as a quiet room for staff. Room dividers brimming with green life would create a calm oasis for staff to enjoy a break. Multi-level seating islands could be made using the GRID modules, cross braces and upholstered seats to provide an inspiring and relaxed space for collaborations. These seating islands could even be made mobile by adding castors to the GRID modules. In the staff room, cupboards with locks could easily be created to provide staff with lockers. Aside from its iconic adaptability, GRID is also a durable system. When a new look or function is needed, the lightweight modules can be disconnected and restructured, perhaps with a new combination of components, to serve a new function. From display unit to reception desk. From room divider to locker unit. The possibilities are endless. 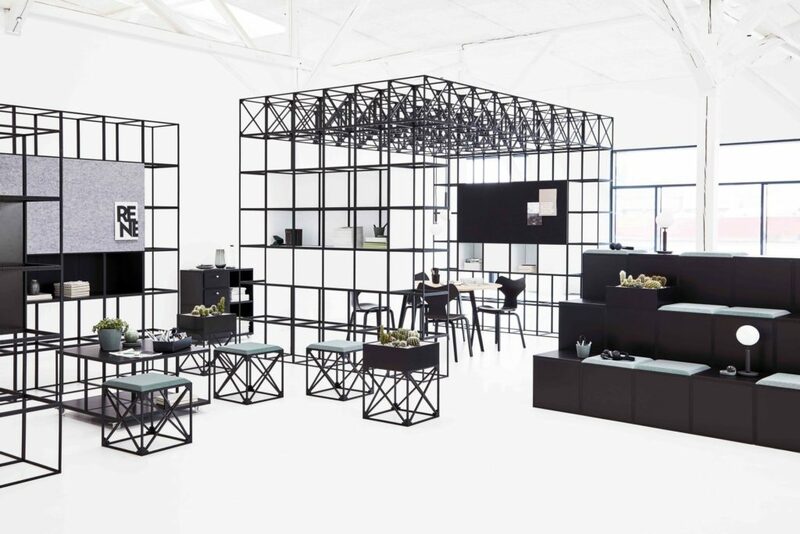 GRID brings functionality and elegance into any space. 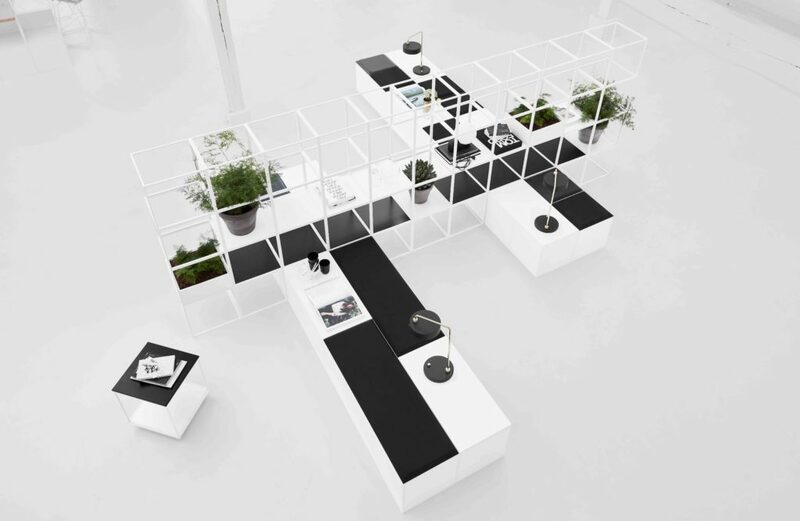 GRID is designed by Peter J. Lassen and produced in Denmark.